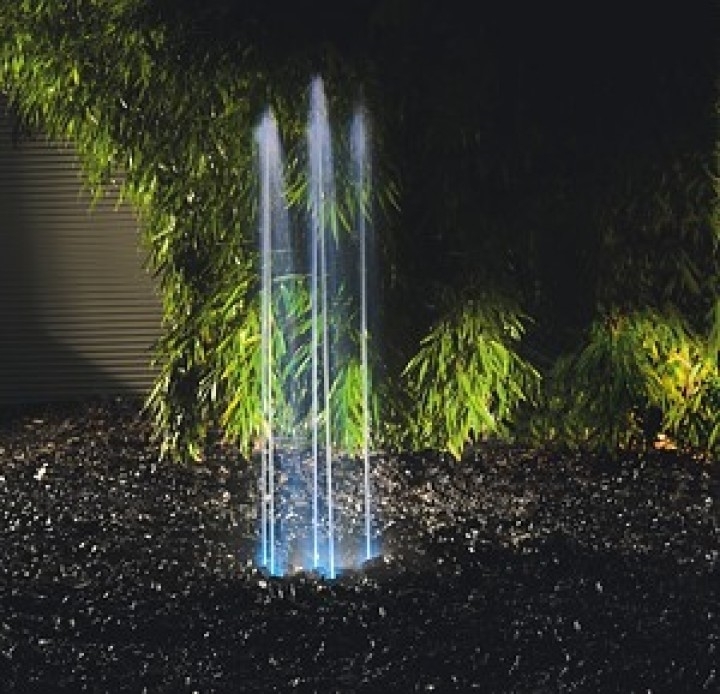 OASE Water Quintet offers 5 fountains of varying heights (12-55 inches) and light intensities. The Plug’n Spray feature allows for immediate use. The fountain’s remote control provides convenience and flexibility. 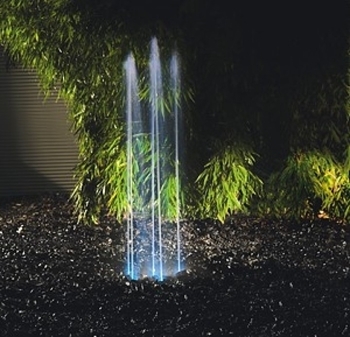 The fountain can set up on a range of substrates and has a robust floor plate for protection. 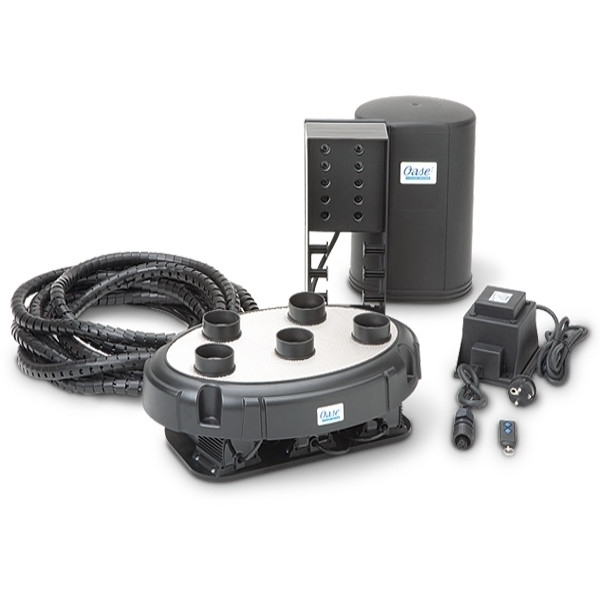 The fountain boasts an energy-efficient 12-volt technology.The fountain includes 5 pumps/nozzles, external control unit, transformer and cables.